10,000 people enter the Medicare program each day. Facing that demand, it is essential that Medicare continues to increase its focus on patient outcomes. The bipartisan Medicare Access and CHIP Reauthorization Act of 2015 (MACRA) offers the opportunity to advance these goals and put Medicare on surer footing. Among other policies, it repeals the Sustainable Growth Rate formula and its annual payment cliffs, streamlines the existing patchwork of Medicare reporting programs, and provides opportunities for physicians and other clinicians to earn more by focusing on quality patient care. We are referring to these provisions of MACRA collectively as the Quality Payment Program. Universally, the clinician community wants a system that begins and ends with what’s right for the patient. We heard from physicians and other clinicians on how technology can help with patient care and how excessive reporting can distract from patient care. But, with the Quality Payment Program set to begin on January 1, 2017, we wanted to share our plans for the timing of reporting for the first year of the program. In recognition of the wide diversity of physician practices, we intend for the Quality Payment Program to allow physicians to pick their pace of participation for the first performance period that begins January 1, 2017. During 2017, eligible physicians and other clinicians will have multiple options for participation. Choosing one of these options would ensure you do not receive a negative payment adjustment in 2019. These options and other supporting details will be described fully in the final rule. 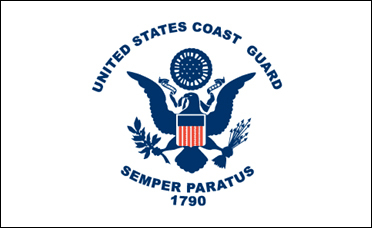 TeamCME reports that the Coast Guard requested its medical advisory committee to make a recommendation regarding DCs performing the merchant mariner exam. The panel held a public meeting and completed the task. The DCs present at the public meeting answered every concern raised by panel members. Leaving the only remaining argument against DCs performing the exam biased anecdotal comments and unsubstantiated opinion. Last month, Aetna announced that it would drastically reduce its participation on the Affordable Care Act (ACA) exchanges in 2017 because of larger-than-expected losses: it will go from 15 states to four. This follows similar decisions by UnitedHealth Group and Humana. As a result, more than one third of the exchanges next year will have only one participating insurer, so no competition at all. As early as May, even before the insurers' announcements, analysts were predicting double-digit premium increases in 2017. The whole point of the ACA was to placate private, for-profit health insurers, the group that destroyed Hillary-care in the 1990's. The companies did not want to lose their customers in the individual market -- the healthy and the wealthy -- and those customers, who had qualified for insurance, wanted to keep it. The CMS announced it will allow providers to choose the level and pace at which they comply with the new payment reform model aimed at emphasizing quality patient care over volume. The announcement comes after intense pressure from industry stakeholders and policymakers to ease implementation of the Medicare Access and CHIP Reauthorization Act, which is set to start Jan. 1, 2017. Two months ago, CMS Acting Administrator Andy Slavitt said the agency was considering delaying the start date. “In recognition of the wide diversity of physician practices, we intend for the Quality Payment Program to allow physicians to pick their pace of participation for the first performance period that begins January 1, 2017," CMS acting administrator Andy Slavitt wrote. "During 2017, eligible physicians and other clinicians will have multiple options for participation. Choosing one of these options would ensure you do not receive a negative payment adjustment in 2019."